On a warm afternoon in Los Angeles I visited LACMA with my sister to see my sketchbook that was on tour with The Sketchbook Project. We set out to enjoy a leisurely day at the museum. 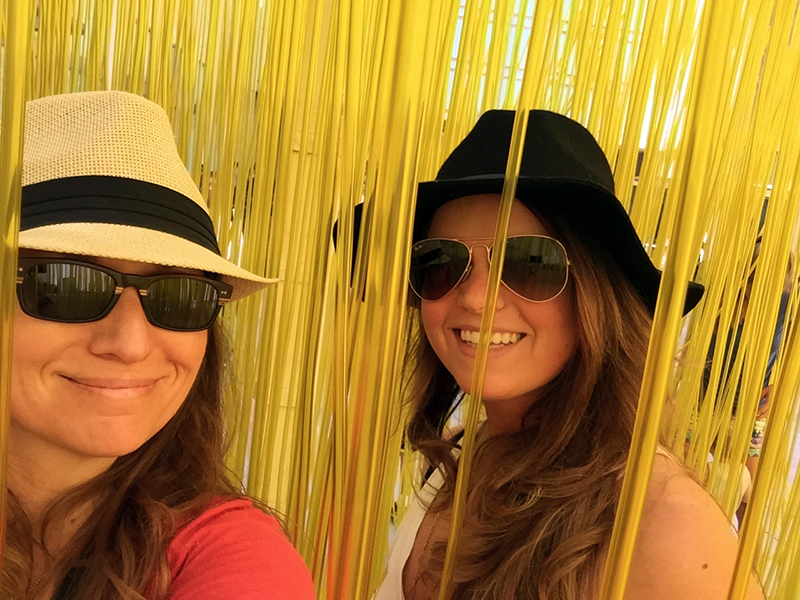 In the plaza my sister and I wound our way through the yellow plastic hoses of Jesús Rafael Soto’s “Penetrable,” marveling at its grandeur, beauty and great lighting for selfies. Selfie with me on the left and my sister, Lori, on the right at LACMA. Surrounding myself with art is exhilarating but often times an intense experience. It’s so much to take in. My first, and only visit so far to The Louvre left me with a migraine. On this particular day at LACMA it wasn’t as intense, maybe because I just let myself see what it wanted to. I wasn’t pressured to soak in every piece of art history. 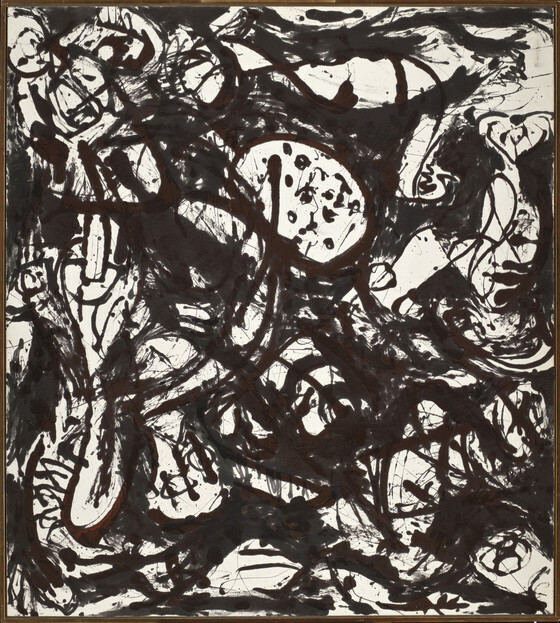 While we were browsing the contemporary art section, my favorite in art museums, I found myself standing in front of Jackson Pollock’s “Black and White Number 20.” Instead of scanning, enjoying and moving on I lingered. 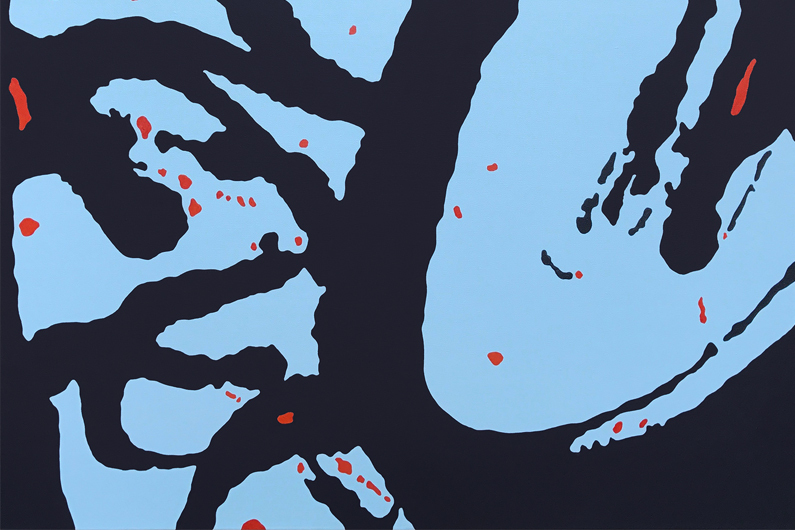 I fell into the painting the way I fall into a decaying leaf or the patterns ants leave behind on a log. I was seeing paintings inside of paintings looking at the Pollock. The piece was frenetic. 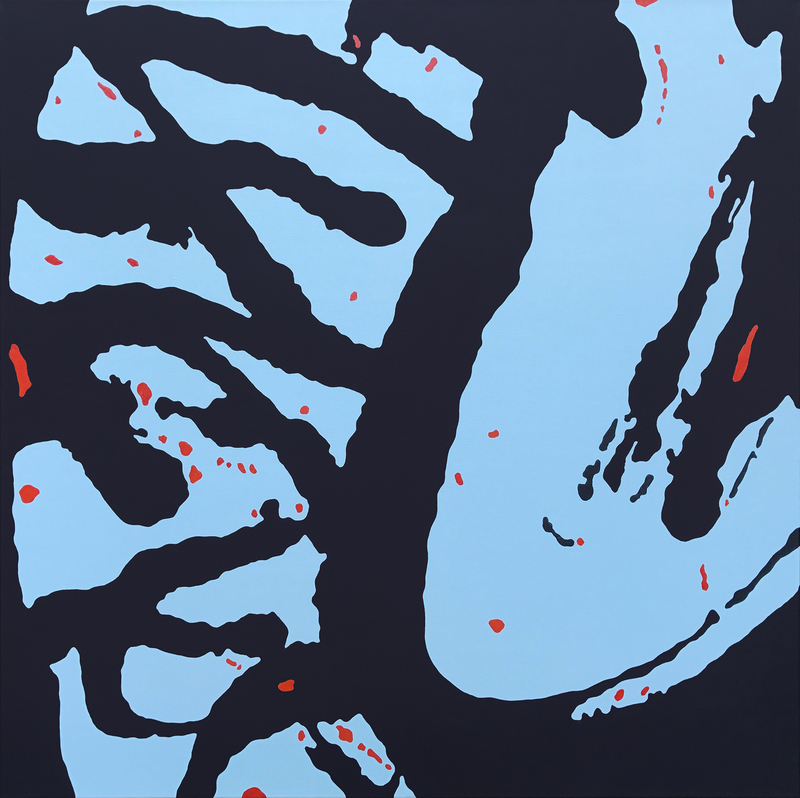 It lacked the flow and continuity of Pollock’s signature drip paintings. I let my eyes settle in on the details to dissect the piece and to find quieter moments. I snapped a few photos of the details in the painting I admired; a keepsake waiting to jump to a new canvas. Note: If you look at the lower left of Pollock’s painting you’ll see my inspiration. Putting it out into the universe. That’s what I did when I made my sketchbook for The Sketchbook Project. I had fun and let myself dream. 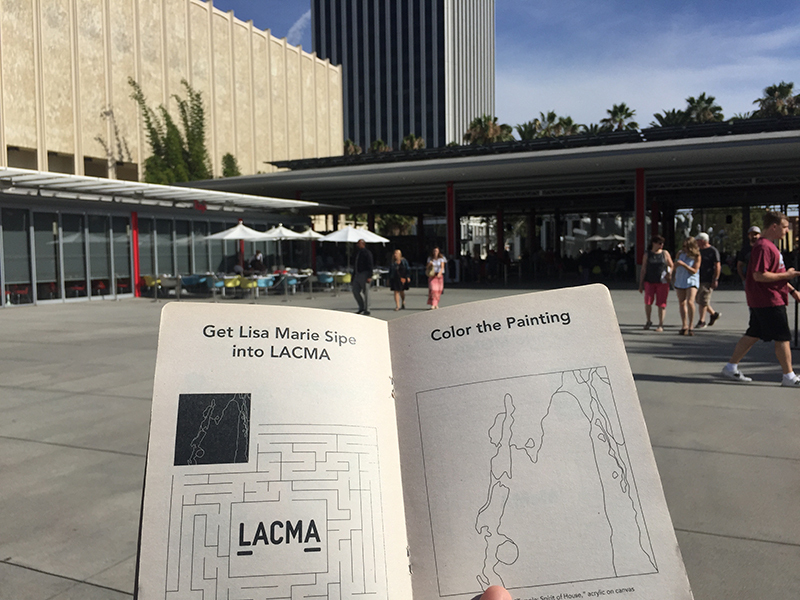 I created a coloring book about moi with fun activities like get Lisa Marie Sipe into LACMA. I guess it kind of worked! 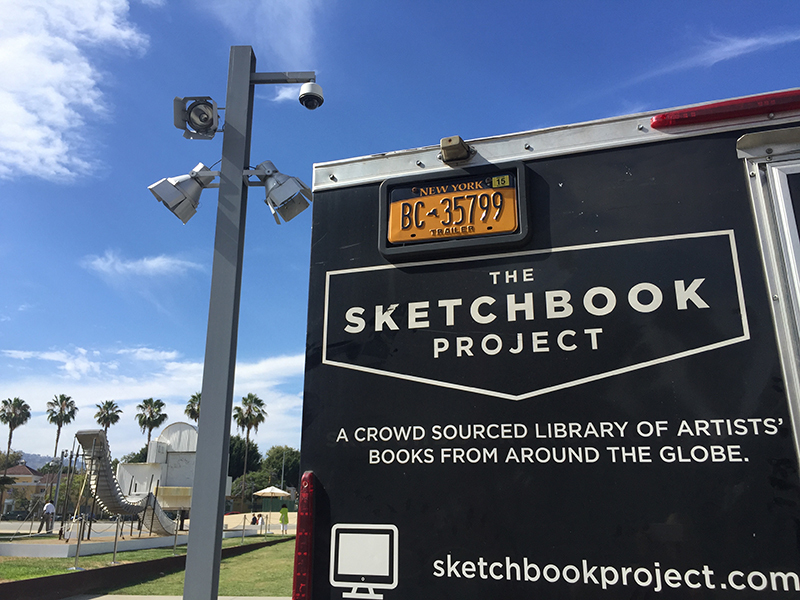 The sketchbook made it to LACMA for a weekend. Now let’s see if I can make it to the Tate and the Guggenheim!! !